This sewing pattern tutorial teaches you how to sew a clothespin bag that keeps your clothes pins at hand as you hang your special clothes out to dry. It hangs right on your clothesline with a standard child’s tubular hanger. 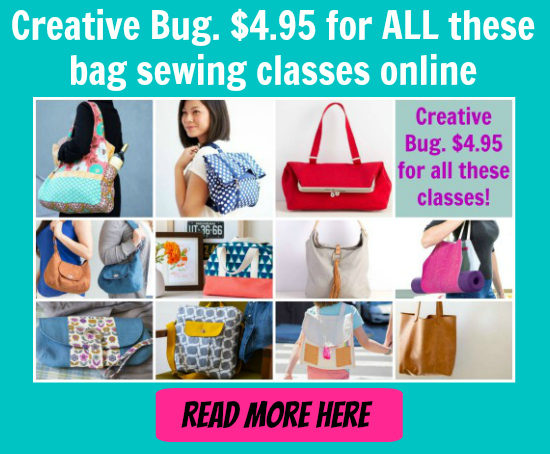 You will be able to make the bag in one of two sizes – a 50-pin carrier and a 100-pin carrier, and of course whichever one you make they are both quick and easy to make. You can make one of these bags for yourself, or make them to giveaway as great gifts for your family and friends. You don’t see these practical items in the shops very much these days, but they are very much still in demand, so these can often be good sellers at craft fairs and charity fundraisers too. They don’t cost much to make and are a good way to use up some fabric leftovers.